Quán cơm bình dân, especially busy at lunchtimes, serve guests from all walks of life: from uniformed students to oil-stained mechanics; from suited bankers to overall laborers. 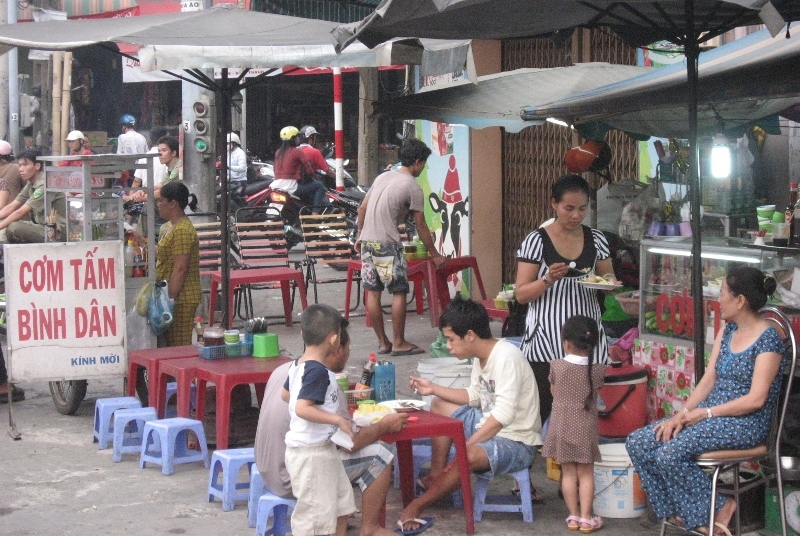 They are simple, informal places with food displayed in trays behind a glass screen and plastic tables and stools on the sidewalk. Ordering is a matter of either pointing at whatever you want or shouting. Whether you are a traveler or a citizen, common rice eateries are a great source of authentic, typical Vietnamese cuisine at budget prices. Aesthetically, to say the least, most common rice eateries are unappealing: dogs sniffing under tables for discarded food, flies buzzing from plate to plate, peeling plaster, corrugated iron roofs, tissues on the floor in puddles of spilt sauce, bare brick walls, chipped crockery and misshapen cutlery. But, you are missing the point if this puts you off. Here, it is all about the food, not about the decor. Guests come, eat, drink, and leave in a few minutes. This is not a luxury restaurant; not a spot to linger and have a conversation over a meal and a glass of wine. Quán cơm bình dân are all about filling your stomach with great, wholesome, hearty dishes in your precious little time going back to work. The standard, classic, earthy Vietnamese dishes offered are what you can find on the table in any Vietnam’s homes. 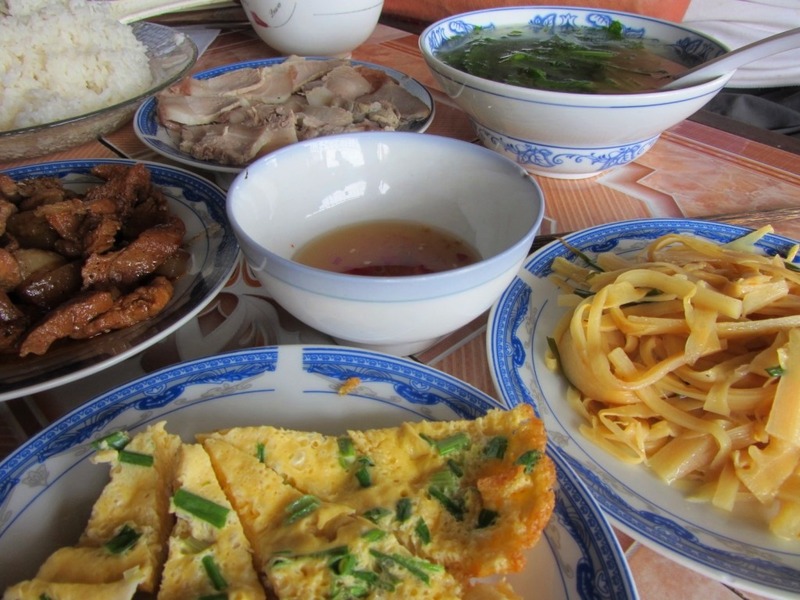 There are few regional differences – some of which are quite subtle – between what is offered at, for instance, a popular rice eatery in Hanoi and one in Saigon. But, wherever you go in Vietnam, fish and pork are always be well-represented. For a foreigner, having these homely dishes in the rustic setting of a common rice eatery can be a particular thrill. 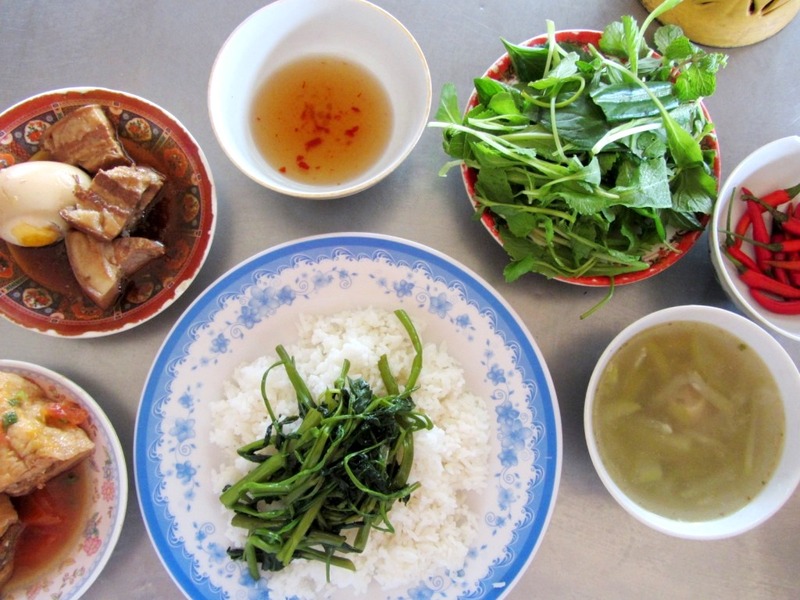 For most Vietnamese, the environment and food are, as its name suggests, ordinary, normal, common, but for some, the experience is fascinating, exciting and exotic. 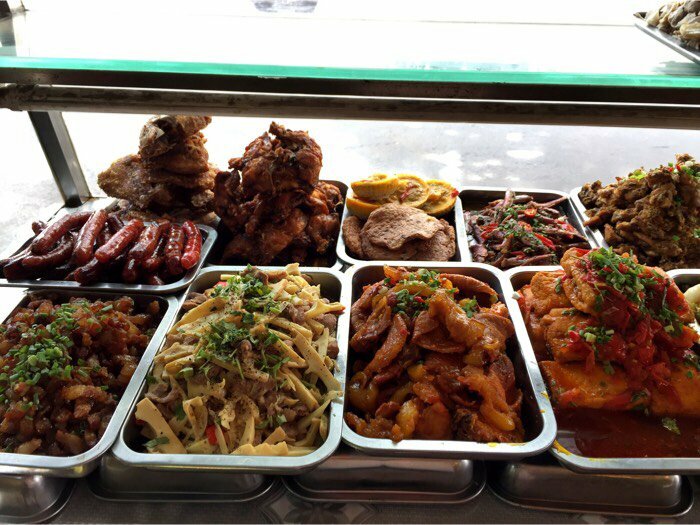 The availability and presence of good food at reasonable prices in an informal environment is simply wonderful, and something that you have never experienced in your home country. It is easy to find common rice eateries – just look for signs saying ‘Quán Cơm Bình Dân’, which is everywhere all over Vietnam. Though quality can vary one place to another, in general, it is safe to assume you are in for a good feed if you find one with a big crowd outside. At most rice eateries, there are at least a dozen dishes, displayed in metal trays on a hot trolley offered. Vegetables, soups, fish, meat and tofu are all available. It is also simple to ordering: just point at whatever you want. 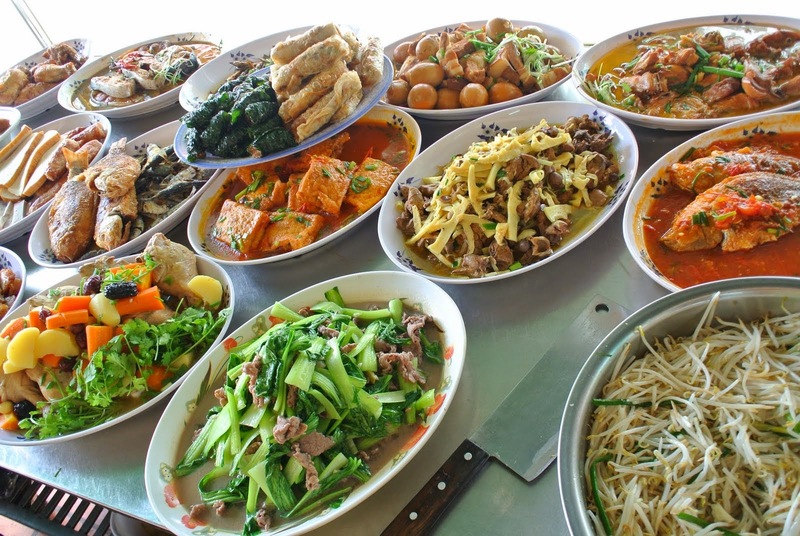 All meals are served with a small soup, a side of green vegetables, a plate of steamed rice and a glass of iced tea. Each meal costs around VND 15-40,000 (~$1-$2). Unfortunately, overcharging of foreign customers is not unusual as there are not any printed menus in common rice eateries. Although this can be very frustrating, try to keep some positive perspective: the cost will still be minimal even if you are charged double.